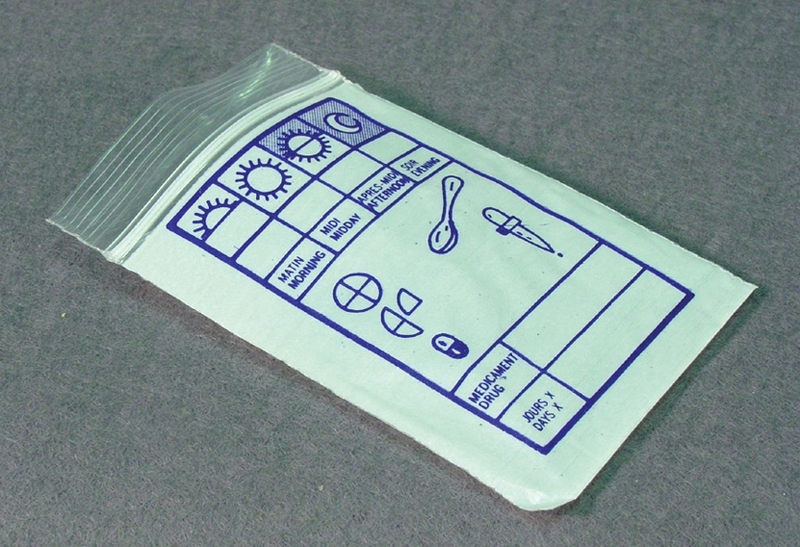 Packaging used for patient-prescribed drug distributions. One opaque and one transparent side; the opaque side is printed as shown on the above picture. Writing implement must be waterproof. Boxes of 500 or 1000.